File this under "That didn't take long." 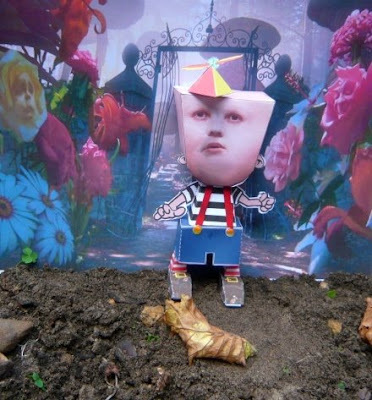 Henk at Microdot.be has posted a Tweedledee/Tweedledum papercraft inspired by the Tim Burton movie. I guess the face is a composite of the two in the widely release photos of the characters from Alice in Wonderland 2010.